The site is located in the London Borough of Barnet in the New Barnet area off Rycroft Crescent. It is currently occupied by garages which are in various degrees of disrepair. 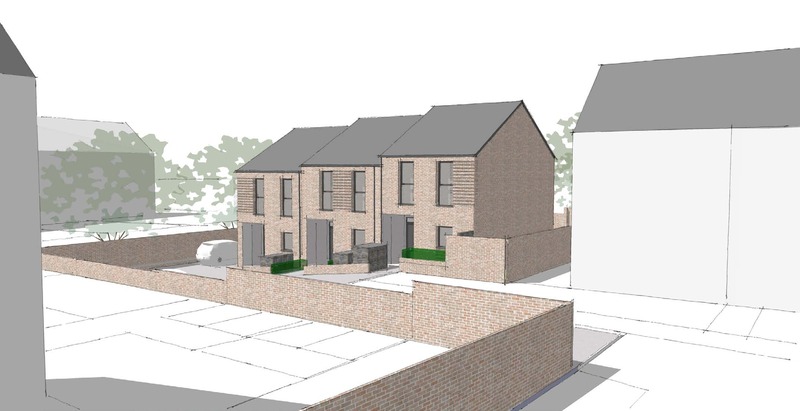 It is surrounded on three sides by 2&3 storey houses and flat blocks whose main outlooks are away from the site. The rear of the site opens up onto an access lane to one of the neighbouring house and then to open fields. The re-development of the site will complete the street. It will provide modern, high quality, purpose built homes to the highest standards of design and thermal efficiency helping to meet Barnet Homes target of 500 new affordable homes in the borough by 2021. It will also improve the quality of the urban makeup by infilling an underutilised site.